Ginger (or ginger) is the underground root of a perennial plant native to South East Asia. It is cultivated in most tropical countries and can also grow in warm and temperate regions. Long renowned for its aromatic and medicinal properties, ginger is mentioned in the scriptures and ancient Indian and Chinese was also known by the ancient Greeks. The Romans imported more than 2,000 years ago. However, only towards the end of the thirteenth century ginger began to be widely consumed throughout Europe, where he was highly regarded as an aphrodisiac. In France it has become very popular. The stems that grow above the ground can reach five feet in height. Ginger is propagated by division of the rhizome. The fleshy rhizome varies in size and color (sandy, yellow, white, or red), according to the multiple varieties. 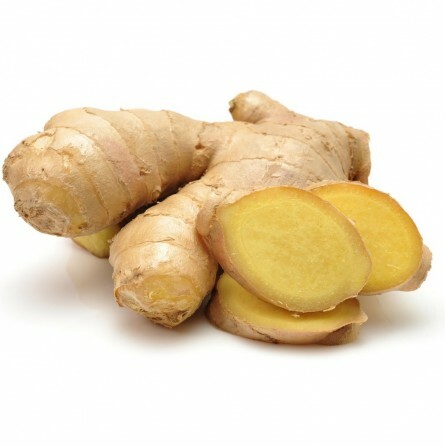 Highly aromatic and pungent, the pulp can be extremely spicy ginger. The young ginger is covered with a thin skin edible. It is produced in Brazil, Costa Rica, China, Thailand, South Africa. Ginger is less spicy if fresh rather than dry. It is used grated or cut into thin slices, incorporated in sauces in the last few minutes of cooking. Often it accompanies white meats, fish, side dishes of vegetables. It is also used in soups, but be careful: the more the soup boils the stronger it becomes!